This recipe started as a total accident. I make a BIG pot of brown rice weekly, store it in the fridge, and then we have it on hand to quickly add as a side to fish, chicken or veggies for dinner. Some days, though, I want something a bit more exciting than plain brown rice and this was one of those days. Wanting to make a simple side dish (and use up some of the leftover brown rice) I came up with these simple yet addictive Brown Rice Cakes. 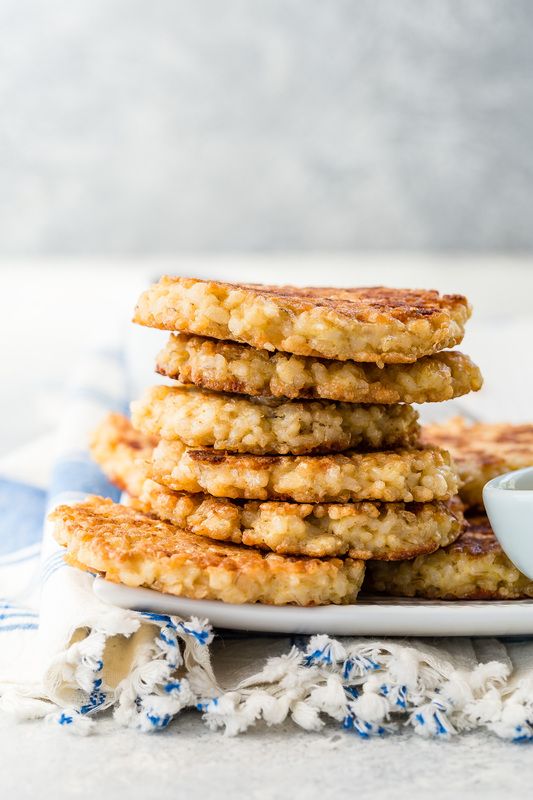 Brown rice cakes are super quick and easy to make. They require just 4 ingredients, but you can also add any of your favorite spices to make them your own! I love the stretchy mozzarella cheese in these, but you can use any other melting cheese you have on hand including cheddar or Monterey jack. It's just enough to turn brown rice into a more exciting side dish. Since Kenya is a vegetarian, I'm always looking for foods that he can eat, as well as give him little boosts of protein. Brown rice cakes are just the sort of thing I'm looking for to help round out his meals. Bonus, the rest of the family loves these as well! 1. In a medium mixing bowl, whisk the eggs. Add the rice, cheese, and salt and stir to combine well. 2. Heat 2 tablespoons olive oil in a large sauté pan over medium heat. 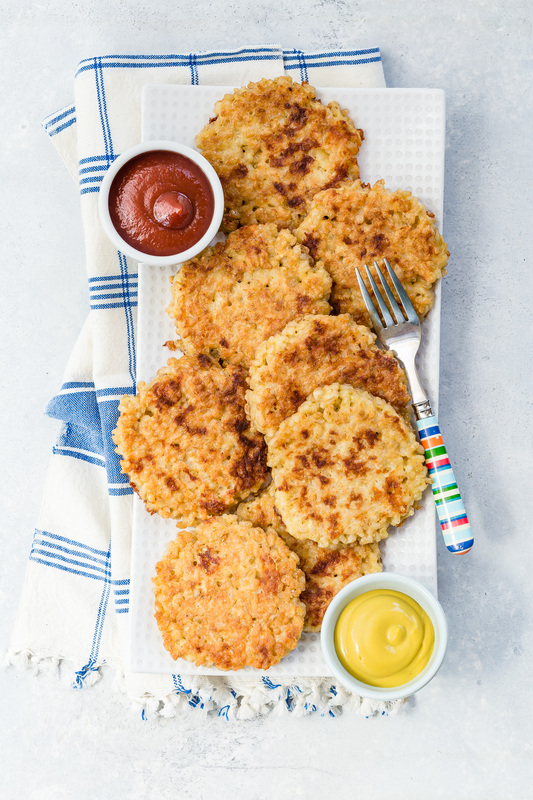 Carefully place 1/3 cup of the rice mixture into the hot oil and use a spatula to flatten into a patty. 3.Saute until golden brown, about 3-4 minutes on each side. Looks delicious! Can't wait to try this recipe. One of my little ones is also a vegetarian, but she will try new things. What different filling can you put inside? Can you freeze these? Thank you! I guess my 2 eggs were too much. I felt I only needed one as it was a bit runny...I added scallions and fresh cilantro and it turned out great!